For real…. 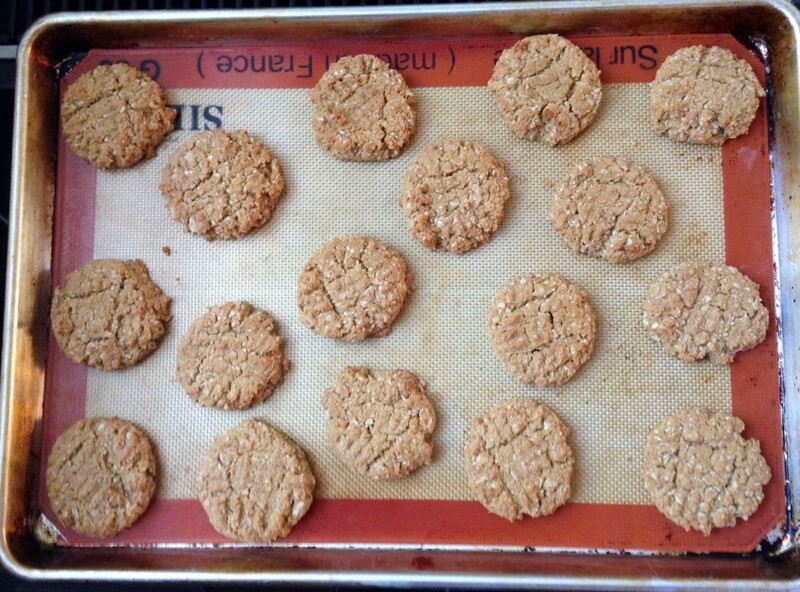 these truly are HEALTHY peanut butter cookies! Didn’t think there was such a thing? Does no butter, no eggs, no flour, and no oil sound healthy to you? Made with skim milk, peanut butter, a cup of whole oats, and a touch of sugar, you really can’t get much better than this. I ran out of Harper’s favorite organic kids Clif Z Bars, and didn’t feel like making a trip to the grocery store to buy more, so instead I thought I’d make a homemade granola bar/cookie for her. With all the stuff online about eating healthy, and the dangers of processed foods, and plastic water bottles, anything wrapped up and sold in a box is probably not the best thing for you to eat or drink. I love that these cookies look and taste like cookies, but have the nutrition of a non-processed granola/energy bar. You get protein from the peanut butter, hearty whole grains from the oats, and a bit of calcium from the milk. 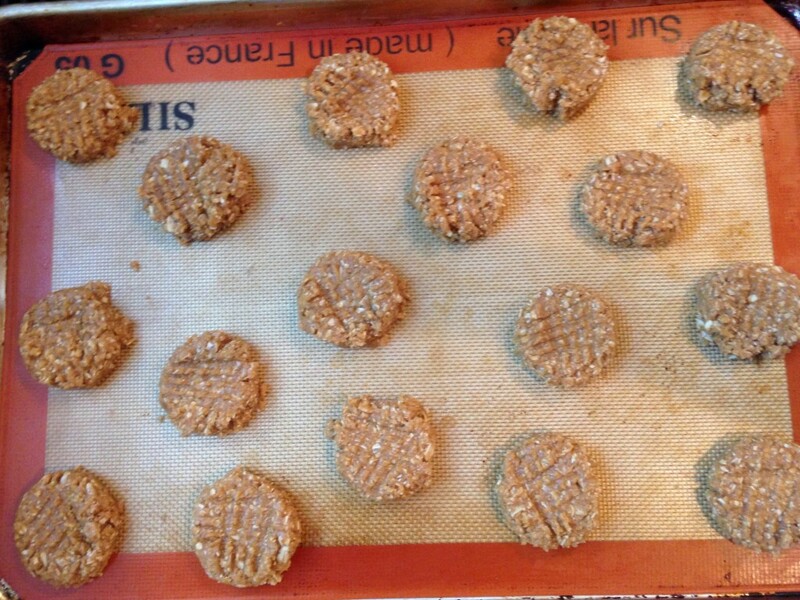 If you want to get creative, have fun substituting almond butter or cashew butter for the peanut butter. You could even add dark chocolate chips for some added sweetness. Fruit and cheese is my snack choice of preference for Harper, but I don’t always keep an ice pack on me to keep it cool. Lol. Granola bars and room temperature snacks are always easiest. 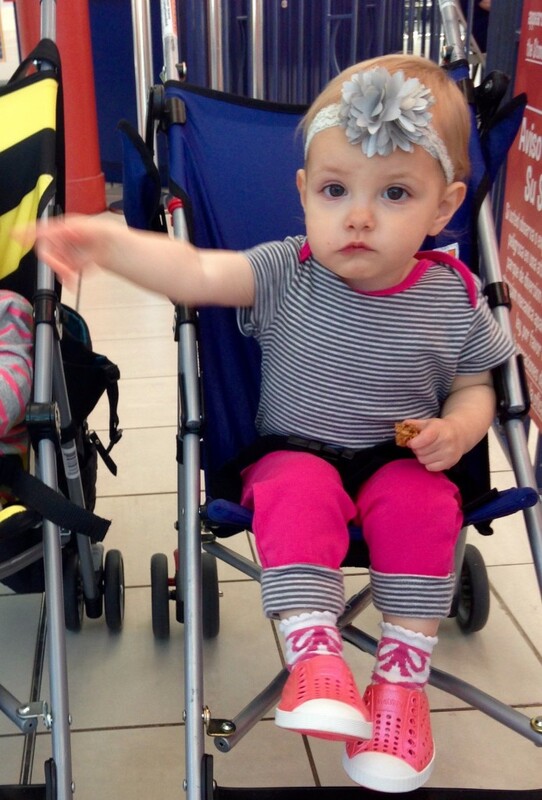 Sure enough, while at the mall Harper got hungry and these peanut butter cookies came to the rescue. 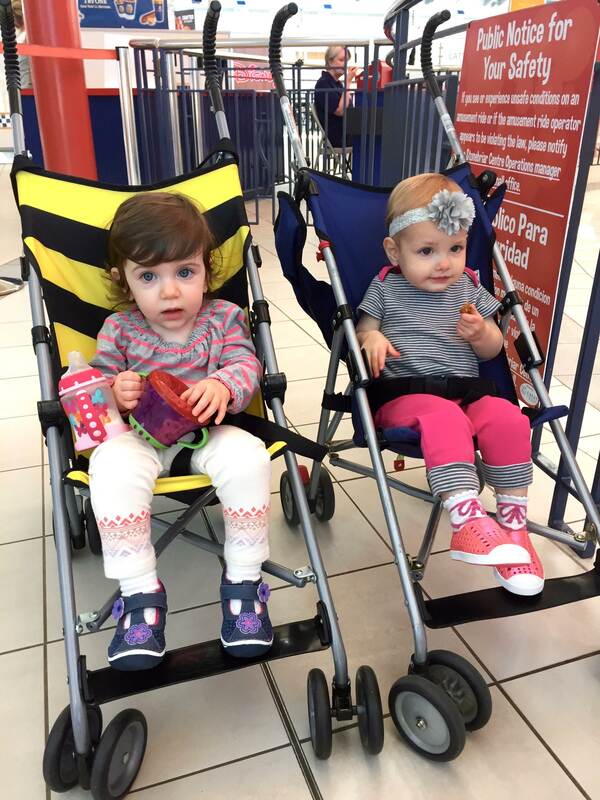 Harper and her little friend going for a stroll through the mall. Preheat oven to 350 degrees F. Line a baking sheet with parchment paper or Silpat. Set aside. In a stand mixer, beat the peanut butter, sugar, vanilla, and milk on low until creamy and smooth. 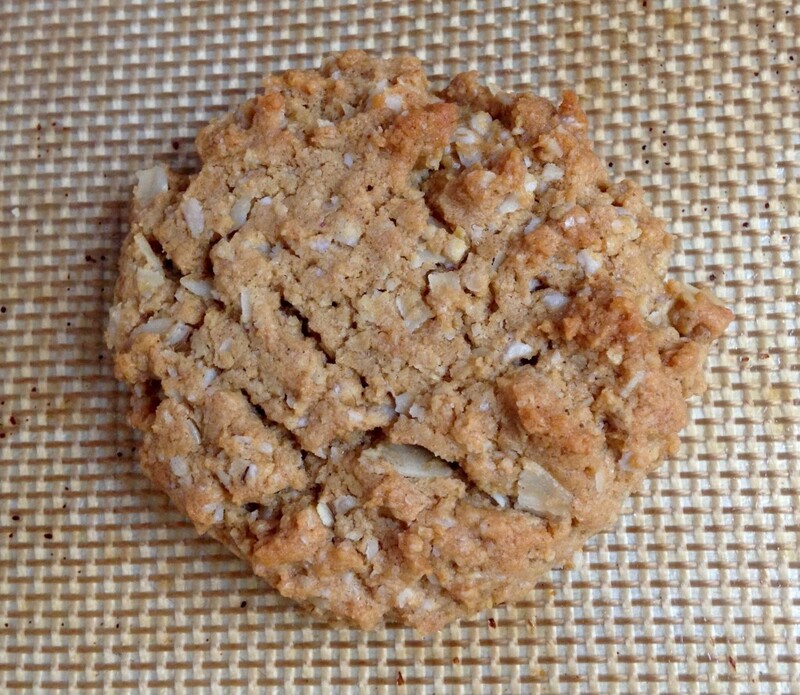 In a food processor, process the oats until a flour mixture is achieved. 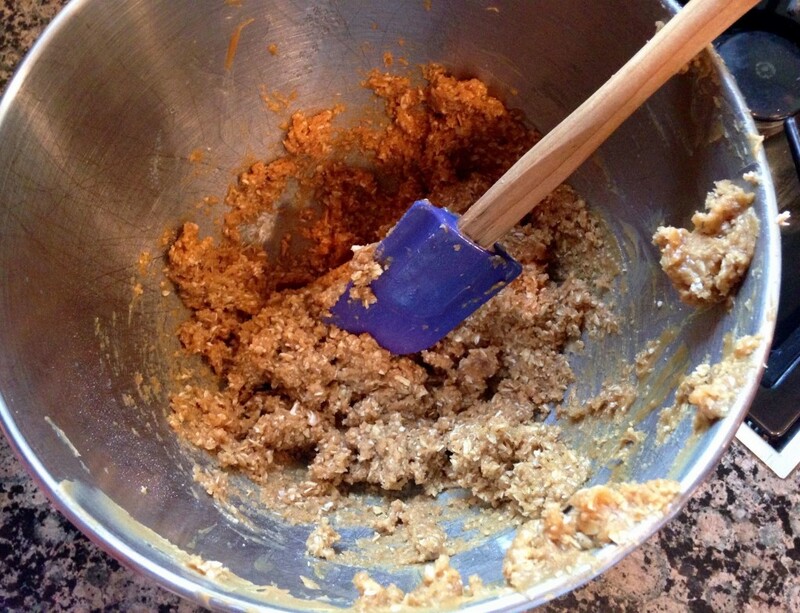 Whisk together the oats, salt, and baking soda. Add the dry ingredients to the wet ingredients. Beat until just combined. Scoop out equal portions of dough onto prepared cookie sheet. Press a fork down onto each cookie in a criss cross pattern. Bake for 18 minutes or until golden. Remove and let cool before serving. Store in an airtight container.